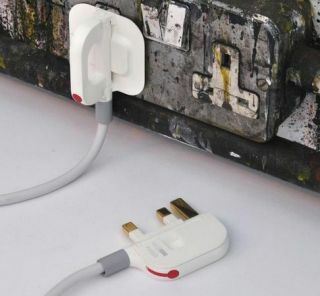 A UK student has been nominated for a Brit Insurance Designs Award for his radical redesign of a plug. Dubbed the Folding Plug, Min-Kyu Choi from the Royal College of Art has managed to make a plug that folds up to the width of a MacBook Air, with the live pins spinning out 90 degrees when it is in use. On Choi's Made In Mind website, he says about the plug: "The UK Folding Plug transforms from a bulky three-pin plug into a portable, hassle-free plug ideal for people on the go. "When not in use, the UK Folding Plug transforms into a 10mm-thick flat object. We are glad to announce that a product range built around this design will be launched in 2010." The plug is so flat that Choi has also created a multi-adaptor for it which is about the size of a normal plug but houses three Folding Plugs. The idea has already won Choi the International Design Excellence Award and he's also been a finalist at the Wallpaper Design Awards 2010. While the winner of the Brit Insurance Designs Award won't be announced until 17 March, an exhibit of all the entrants is on now at the British Design Museum where it will stay until 6 June. For the first time ever, TechRadar has plug envy!